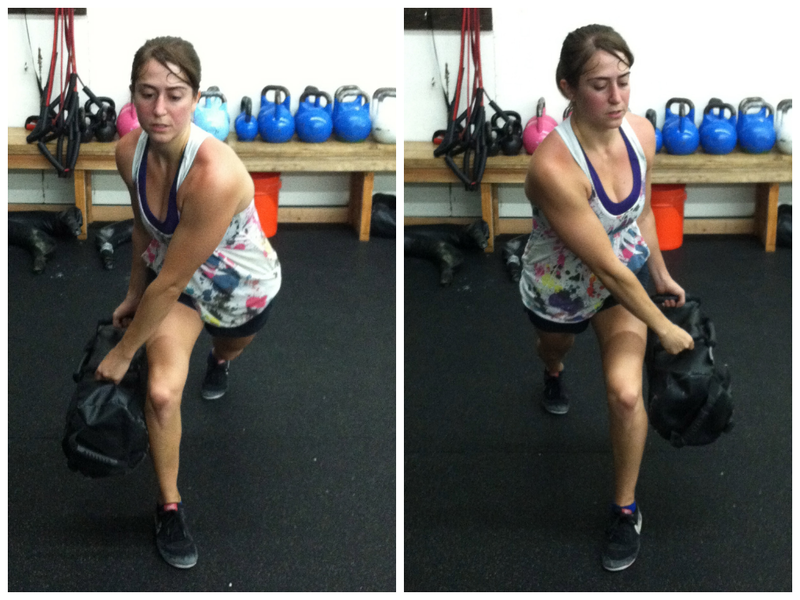 So Sarah over at Shh…Fit Happens wrote a post about working out with sandbags the other day and it got me to thinking about all the exercises that I use sandbags for. 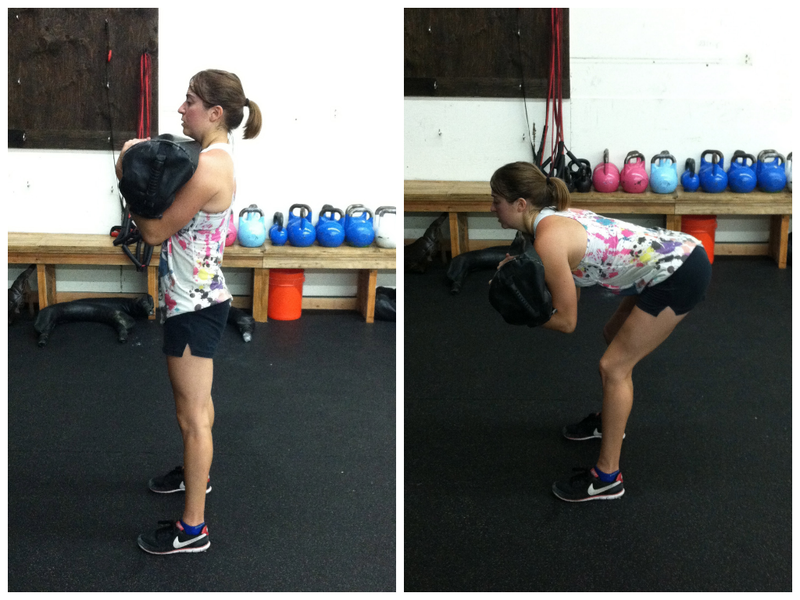 Sandbags are a great way to add weight to any move because the weight is AWKWARD. They aren’t like barbells and dumbbells. They aren’t easy to grip and the weight can shift from side to side as you lift it. They are super functional and force your core to really engage to stabilize. They are a great way to add variety to the same basic moves that you are already doing. 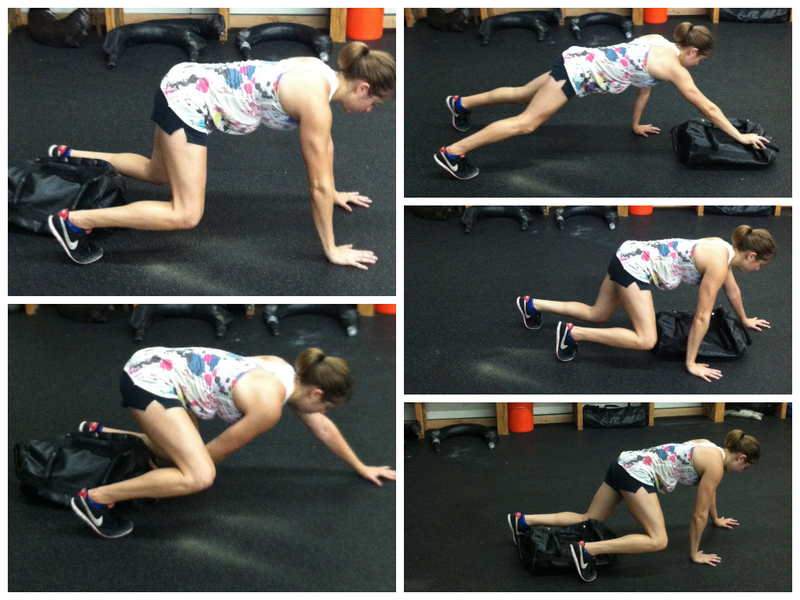 Like I mentioned in my post Sunday…Mix up your resistance to make moves more challenging. Dynamic stretches and locomotion to get the entire body warm. 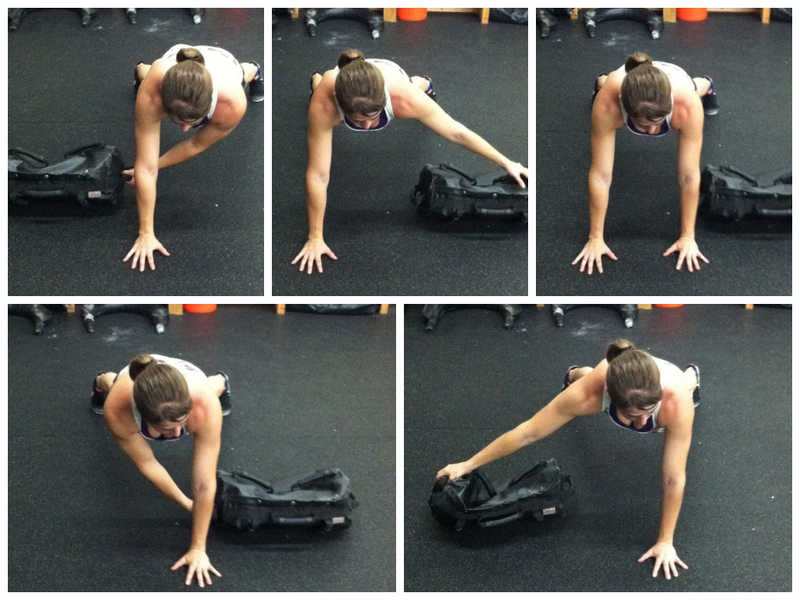 Don’t forget to foam roll any tight areas! 3-5 rounds of each superset. Complete all rounds of each superset before moving on to the next one. Stretch and foam roll all tight areas! I also want to note that I’ve only demonstrated one variation of these moves. 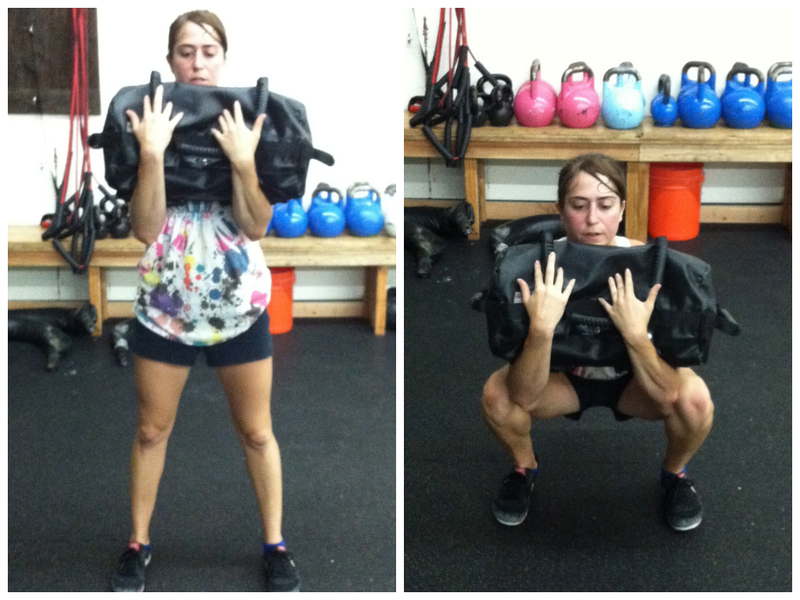 Squats can be done with the sandbag held the long ways up and down (Bear Hug) or even on one shoulder. Loading on one shoulder forces the core to engage even more (which as I mentioned on Sunday, asymmetrical loading is a great way to keep your workouts challenging!). 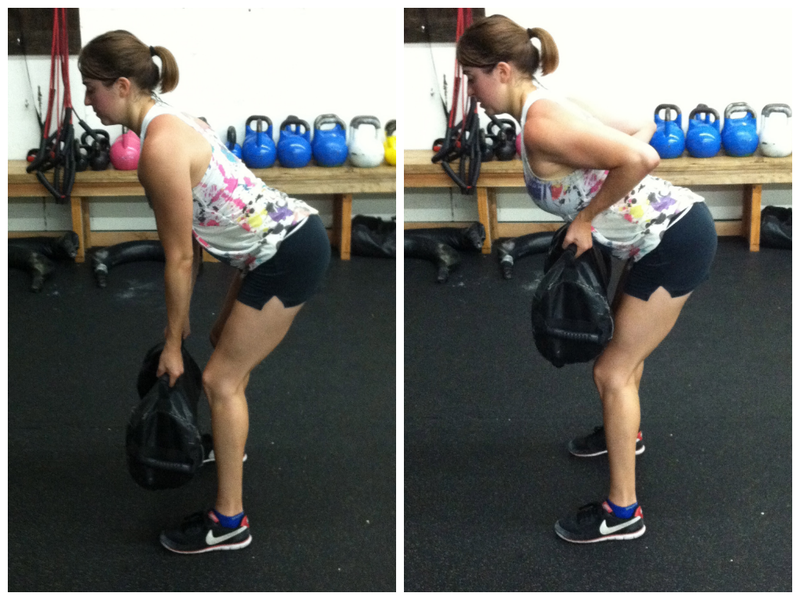 Deadlifts can also be done in a “suitcase” style where you hold it on one side. 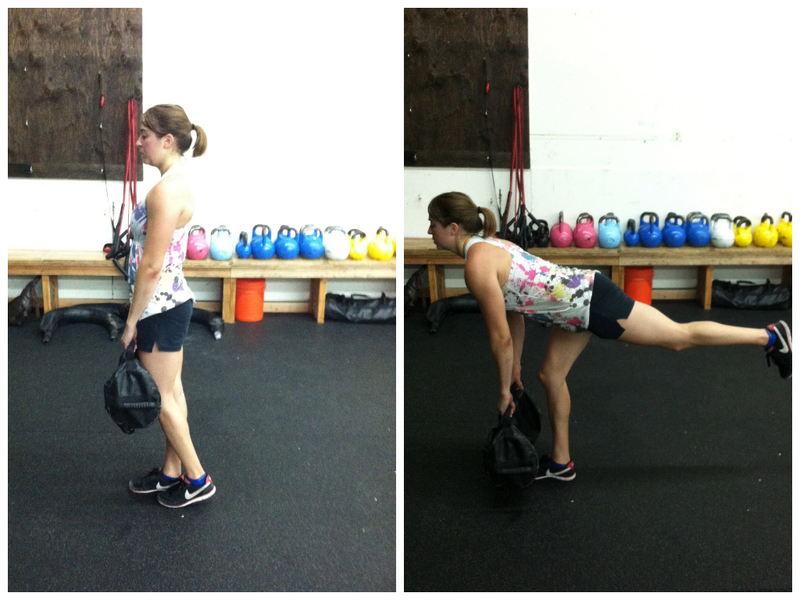 This is a great way to progress the single leg move (again ASYMMETRICAL LOADING!). Note: Sorry for the pictures. I do not “glow” or “glitter” when I workout….I SWEAT! 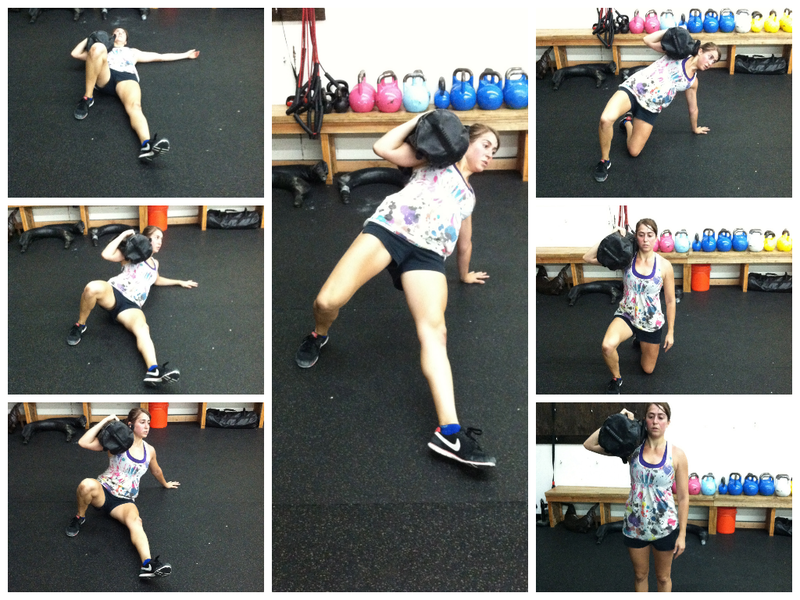 Posted on July 23, 2013, in Man Biceps, Top 10, Workout and tagged core workout, full body workout, sandbag training, sandbag workout, sandbags, top 10 exercises to do with sandbags. Bookmark the permalink. 2 Comments.